We ask for your vote! We have a favor to ask of you and it will take only a few moments of your time. This is big. This is real BIG! The MetLife Corp, in conjunction with the PGA Tour, sponsors what is known as the MetLife MatchUp Sweepstakes. Essentially the contest involves the following: The outstanding golf shot is voted upon from thirteen selected 2018 PGA Tour events. The PGA Tour Professional who wins the contest in each of the events selects a charity of his choice which is awarded $20,000. We are thrilled to announce that Martin County native and PGA Tour Pro Derek Fathauer won the shot of the Tournament for the Quicken Loans National Tournament which was held in July and selected our very own Volunteers in Medicine Clinic as the beneficiary of the weekly prize. From August 5 through August 15, an online vote will take place where the best recovery shot is selected from the thirteen qualifying shots. The winner of this contest is awarded $750,000 to go to the selected charity!!! Please vote NOW by clicking on this link. You can vote every day up to twenty (20) times a day in the 10 day period. and encourage them to participate. 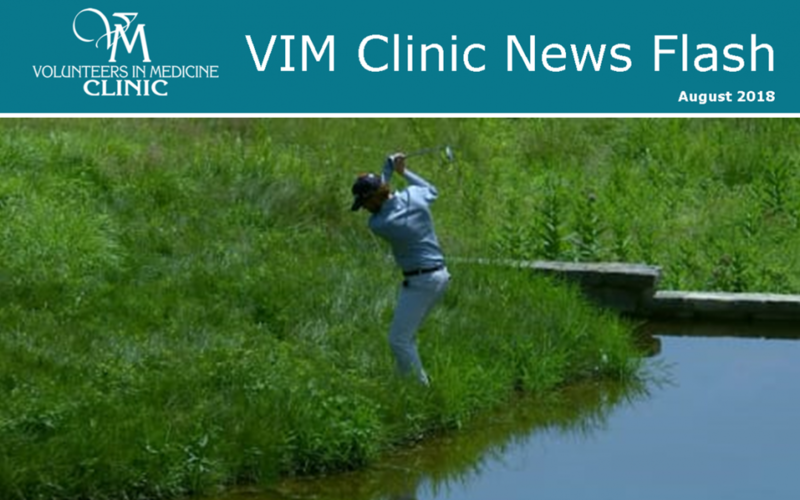 Yes, we are up against some serious competition the likes of Phil and Tiger but with your support our boy Derek can win which means a huge win for VIM Clinic and Martin County. Volunteers in Medicine Clinic provides comprehensive medical care to the eligible working uninsured and indigent in Martin County through the efforts and expertise of volunteer medical and lay personnel at no charge to the patient. We sincerely thank you for your participation and please send the email on, and on, and on.